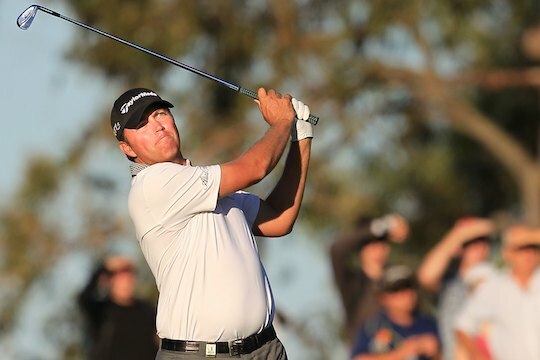 Bo Van Pelt and Jason Dufner will fight out the Perth International as the two Americans moved into position with third rounds of 67. Van Pelt is at 12-under and a stroke ahead of Dufner with Emillian Grillo in third position, two strokes behind the leader at 10-under. Steve Jones and Greg Chalmers are the best of the Australians in a tie for 6th position at 6-under, six strokes from Van Pelt. Starting the day four shots back from overnight leader Emiliano Grillo, Van Pelt opened with a birdie and went on to keep his composure in difficult scoring conditions. “I felt good starting out, made birdie on the first and had a good warm up,” said Van Pelt. Dufner, ranked 10 in the world, proved the class of player that he as he fought back into contention in Perth after earlier rounds of 71-67. “After 3‑putting the first and number two is pretty tough, getting that eagle there got me going in the right direction,” said Dufner. Andre Stolz fired a round of 68, the second best for the day, to move into a tie for 9th position to be within seven strokes of the leaders. Stolz is capable of firing low with the multiple tour winner having the experience and game to challenge the leaders. At present the focus is upon the two marque Americans who have not disappointed the tournament organisers. Van Pelt holed a 60 foot birdie putt on the final green to take a one shot lead into the final round. The world number 24 remains confident he can get the job done in Perth knowing Dufner will put up a fight as the two are pared in Sunday’s final group. “It was just nice to finish with a birdie like that and hopefully take that into tomorrow,” said Van Pelt.